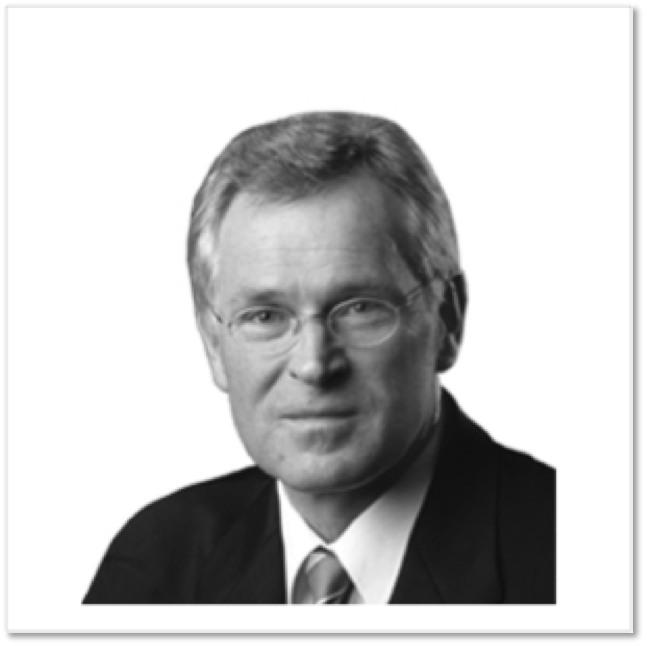 Our clients are the CEOs and Shareholders of SMEs and Multinational Groups. 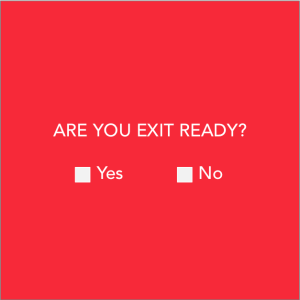 get ready for an exit. 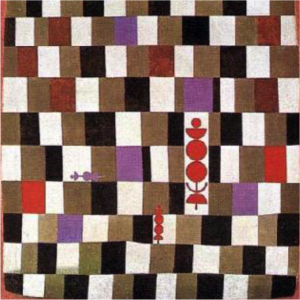 Sweden - Bulgaria - Turkey - Hungary - Austria - Portugal. 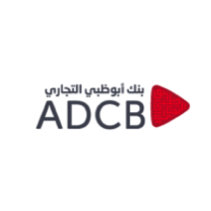 ADCB is one of the largest universal banks in the UAE . Identify drivers of concrete improvement and differentiation. Position a new Services-based offer. Ensure that the Bank does not over-invest in programs that have no effect on customer retention. Translate those points into a concrete and implementable services program. Build the interfaces between relevant functions: Product, Customer Support, Operations, CRM, Marketing… , and ensure that they are properly managed. 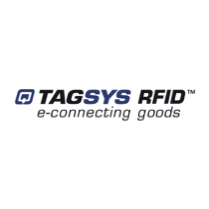 Tagsys RFID is the global leader in item-level traceability products & services. Redesign of company structure and organization. 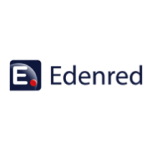 Edenred is the global leader in corporate pre-paid services. The company owns globally leading brands such as Ticket Restaurant (luncheon vouchers). As a result, the Company increased both its market share and margins. 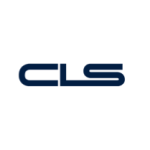 CLS is the world-leader in FX settlement, operating the world’s largest multi-currency cash settlement service (17 currencies). 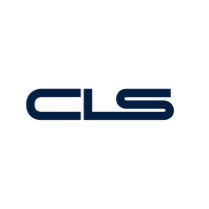 CLS is a “utility” where the clients are also the shareholders. We helped the bank to overcome a “schizophrenic” approach to pricing, building fair pricing policies and procedures to ensure profitability, and market-parity pricing approach for all stakeholders. 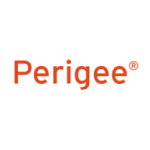 Périgée is a niche software development company focusing on multi-channel publishing solutions. 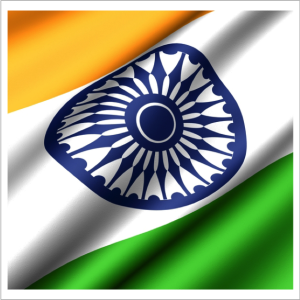 We helped Périgée select a strategic partner in India and manage and close the partnership negotiations. 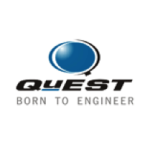 QuEST Global Engineering, is a diversified Product Development Solutions company, employing over 4200 professionals across the world with delivery centers in US, Singapore, UK, Germany, Italy, Spain, France, Japan, Australia and India. J.K. Fenner is a member of India’s JK Organization (Singhania Group). 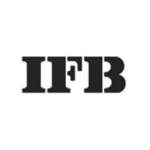 Fenner is both JK’s innovation and investment arm and a specialist in Mechanical Power Transmission and Sealing Solutions. 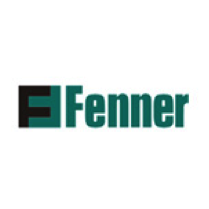 We helped Fenner’s CEO and Management Team to identify JV partners in Europe, define JV content, and negotiate with potential JV partners. IFB Automotive is an Indian leader specialized in the manufacture of fine blanked automotive components, seating systems, door systems and automotive motors. We helped the Group Chairman and the CEO and Management Team of the Automotive Business Unit’s to define, scope and approve a greenfield activity, including technology transfers and financial evaluation. We worked with the Chairman of the Group to assess the potential of the French market and develop an entry strategy in France. BNP Paribas is the largest Universal Bank in France, and one of the largest in the world. 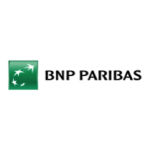 We provided Consulting Services to the Senior Management of BNP Paribas Securities Services to shift from a product-driven to a client-driven approach of the business. 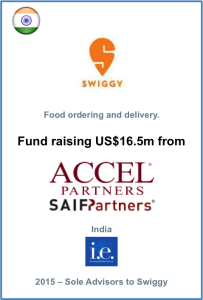 IndigoEdge, P2P Consultants’ partner company in India advised the founders and management Swiggy to raise US$16.5m) from Norwest Venture Partners (NVP), existing investors SAIF Partners and Accel Partners, and an undisclosed global investment entity in a Series-B round. .
Food ordering company Swiggy was founded by Sriharsha Majety, a BITS Pilani and IIM-C alumnus, Nandan Reddy, BITS Pilani alumnus and Rahul Jaimini from IIT Kharagpur. 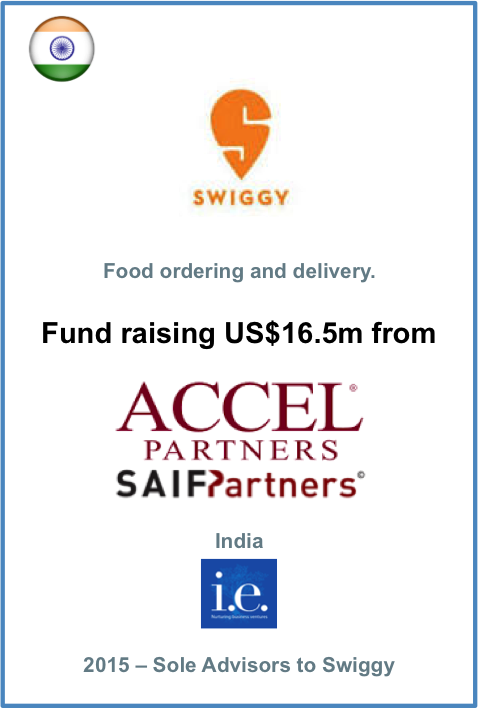 Swiggy will use the funds to expand its footprint, enhance its brand and capture greater market share in the food delivery market in India. The company recently expanded its operations to Gurgaon and Hyderabad. 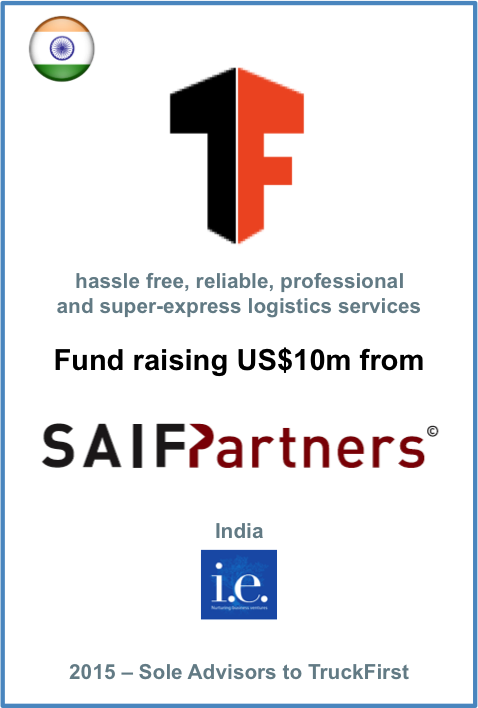 IndigoEdge, P2P Consultants’ partner company in India advised the founders and management of TruckFirst to raise RS 618m (US$9.8m) from SAIF Partners. 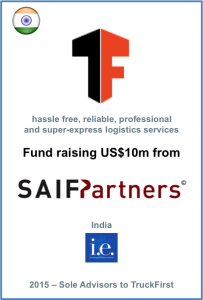 Operating in a few transport hubs in the country, TrucksFirst – founded last year by IIT Kanpur alumnus and former McKinsey Consultant Deepak Garg and Gazal Kalra, a Stanford and Harvard school graduate – aims at revolutionising trucking operations by using technology to enable efficiencies in the system. The company coordinates delivery trucks going between different cities, using technology and innovative operational processes. It aims to significantly improve the truck driver ecosystem and operational efficiencies while doing so. Other investors in TrucksFirst include Singapore Post and McKinsey travel, transport and logistics director Thomas Netzer. 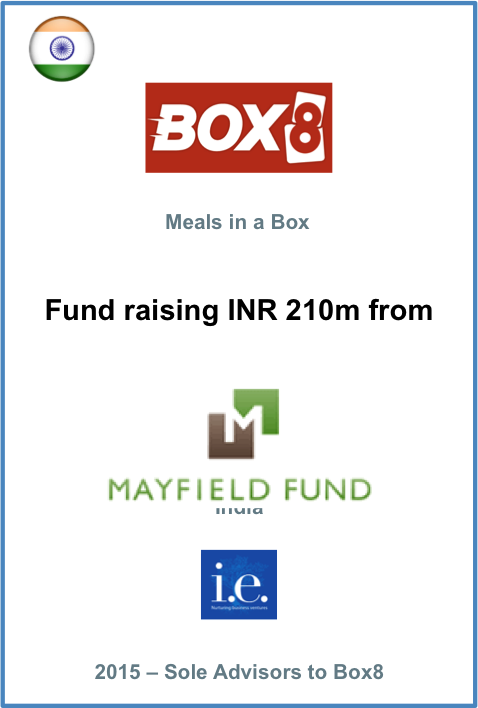 IndigoEdge, P2P Consultants’ partner company in India advised the founders and management of Box8 to raise RS 210m (US$3.5m) from Mayfield (headquartered in Silicon Valley). Started as Poncho in 2011 and serving only Mexican dishes in the quick service format, the company expanded its menu and rebranded to Box8 in July 2012. The co-founders Amit Raj and Anshul Gupta, both IIT alumni aim to make their company the go to option for anyone wanting to order great tasting food. 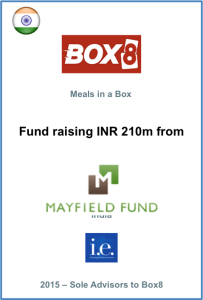 Box8 is currently present in Mumbai and has 22 delivery units across the city. With over 2,000 transactions per day, Box8 has grown 10x in the last 15 months. The company’s focus on taste, technology and innovation has resonated well with its customers, as 80% of its daily transactions come from repeat customers. Affordable pricing, popular food choices and Indian cuisine has resonated well with its young urban customer base. Investment will be used to fund technology, team expansion, and market penetration. New funds will also be deployed to aggressively increase Box8’s footprint across other Indian cities. 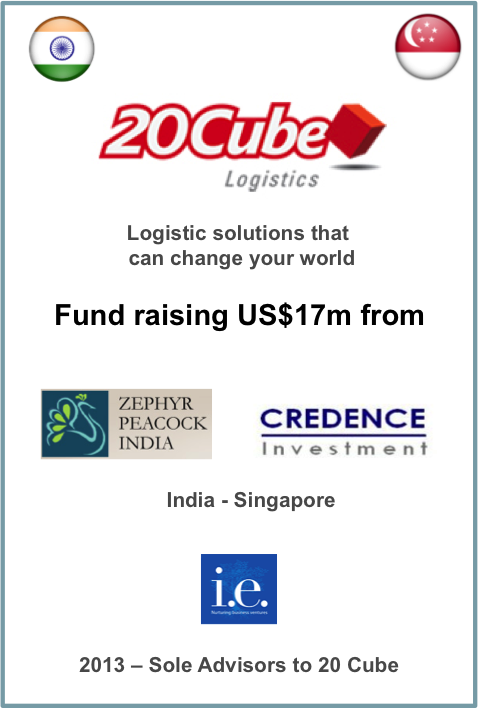 IndigoEdge, P2P Consultants’ partner company in India advised the founders and management of 20Cube to raise US$17m from India- focused private equity fund Zephyr Peacock India and Singapore-based private equity fund Credence Partners to fund the development of the company. Singapore-based 20Cube was founded in 2011 by Mahesh Niruttan and Anand Seetharaman, former colleagues at Kuwait-headquartered Agility Logistics. 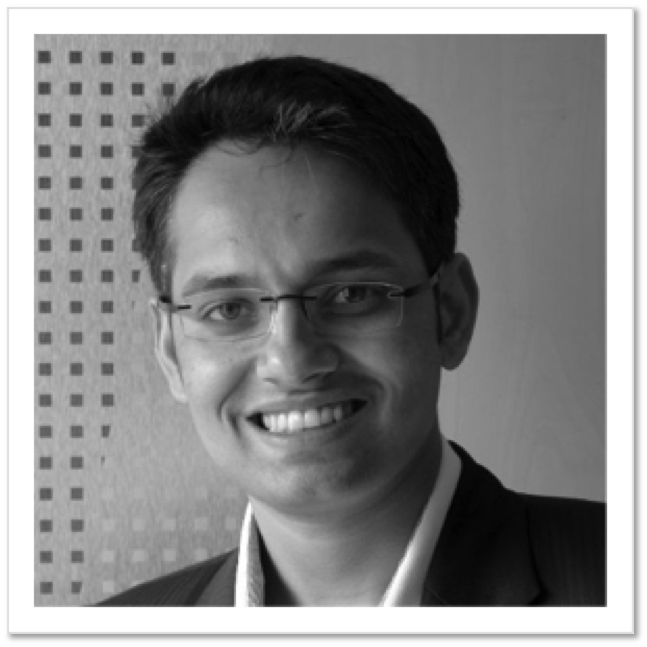 While Niruttan managed the South Asia operations of Agility, Seetharaman was executive director at the company. 20Cube specialises in international transportation and contract logistics services. The company has an emerging markets focus and has offices and hubs in 15 countries, including India, Australia, Sri Lanka, Bangladesh, Malaysia, Singapore, China, Uganda and Dubai. 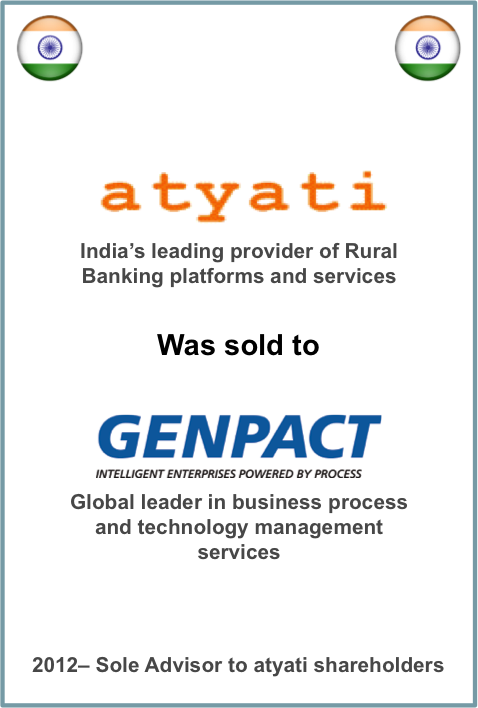 P2P Consultants advises the shareholders of Atyati on the sale of the company to Genpact, the global leader in business process and technology management (NYSE : G). With about 3 million users in 7,300 Indian villages, atyati is the Indian success story of the Financial Inclusion sector. Atyati’s services meet the needs of under-banked populations in remote locations where banks cannot profitably operate. Applications include banking and payments services and management of financial flows in sectors such as Financial Services, Banking & Insurance, Public Welfare, G2C payments etc. 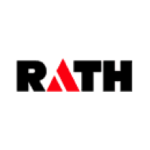 Founded in 2006 by ex-Oracle Financial Services managers, atyati has since then demonstrated continuous growth, based on a business model that allows large-scale implementations while maintaining a light organization. 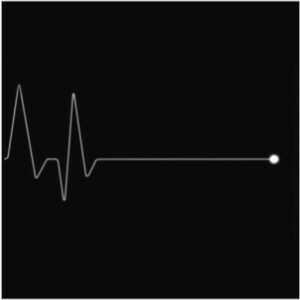 Atyati’s shareholders are the promoters and the Indian PE fund VenturEast. They have announced the sale of 100% of the company to Genpact, the global leader in business process and technology management. 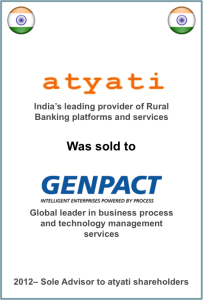 After the transaction, the promoter Prakash Prabhu and his team will continue the Indian and International development of atyati, leveraging the expertise and commercial power of Genpact. 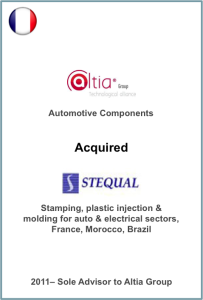 P2P Consultants advises Altia to acquire €80m equipment manufacturer Stequal. Altia becomes a leading components manufacturer for the automotive and electrical sectors. 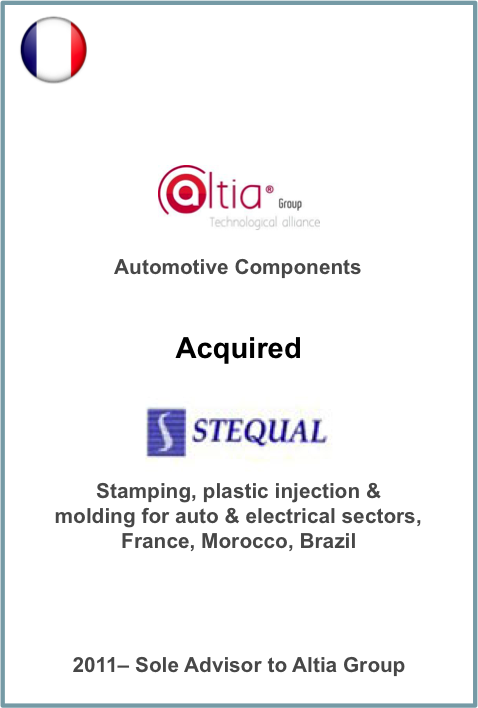 With presence in France, Morocco and Brazil, Stequal is fast stamping and plastic injection/molding specialist for the automotive and electrical sectors. The acquisition allows Altia to develop a metal & plastic activity, in addition to its traditional stamping, machining and assembly activities, and to reach €450m and 3000 employees. 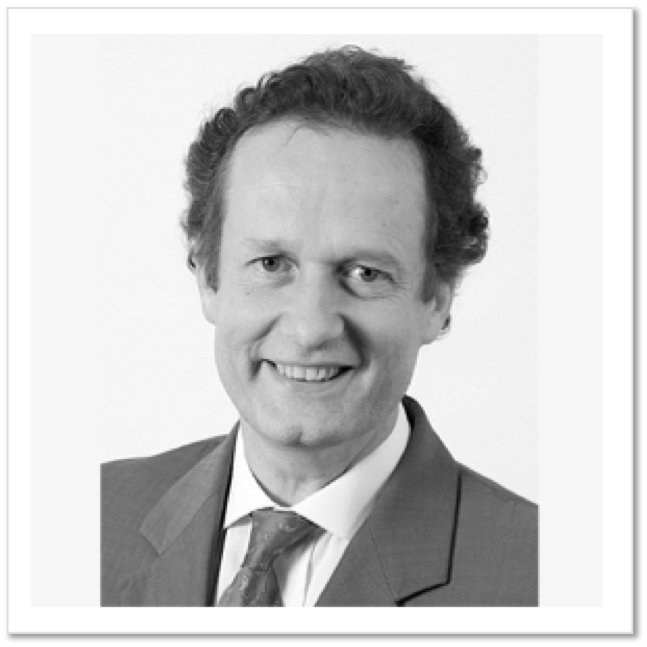 Buyer’s advisors : Financial = P2P Consultants (Francois Montrelay) – Legal = Wilky Farr (Olivier Gomez). IndigoEdge, P2P Consultants’ partner company in India advised the founders and management of India-based E-Billing Solutions (EBS) to sell the company to leading European online payment services provider Ogone Payment Services for an undisclosed amount. This acquisition marks Ogone’s first foray outside the European market and into the rapidly expanding Indian online payments market. EBS will continue to operate under its current management structure and market approach, with its executives handling operations and driving the continued expansion of the company. EBS will also retain its name and brand in the Indian market. 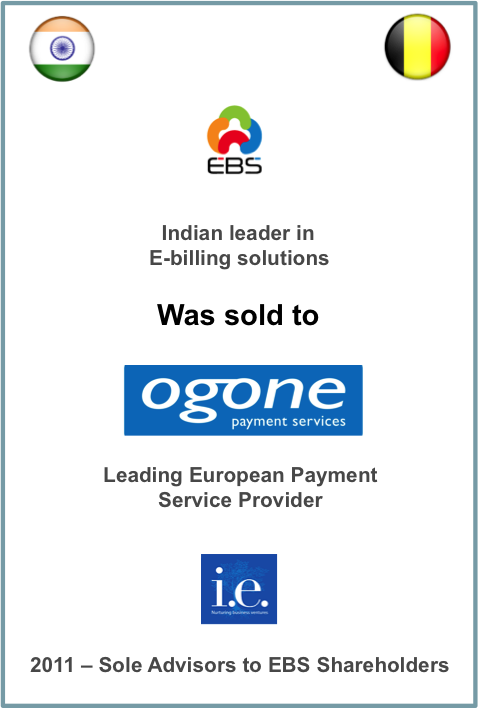 EBS is the second largest online payment provider in India, enjoying a 20 per cent market share in terms of its merchant base in the Indian payments gateway industry. 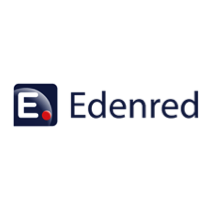 Sellers’ advisors : Financial = IndigoEdge (Zerin Rahiman). 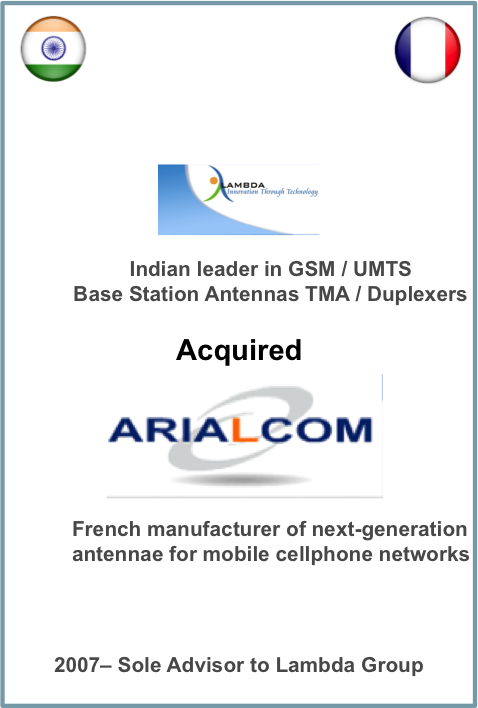 Lambda is a Delhi-based specialist in GSM / UMTS Base Station Antennas and TMA / Duplexers. Lambda acquired Arialcom from Credit Agricole Private Equity and LMBO Paris. 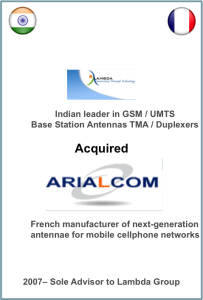 Arialcom is a French manufacturer of next-generation antennae for mobile cellphone networks. 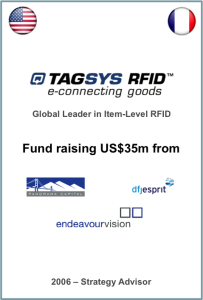 Tagsys is the global leader in item-level traceability products & services. The company raised US$ 35m from Endeavour (Switzerland), DFJ Esprit (UK), and Panorama Capital (USA). P2P Consultants provided strategic and operational advice and participated in the fund-raising exercise with the Board and the Management Team. 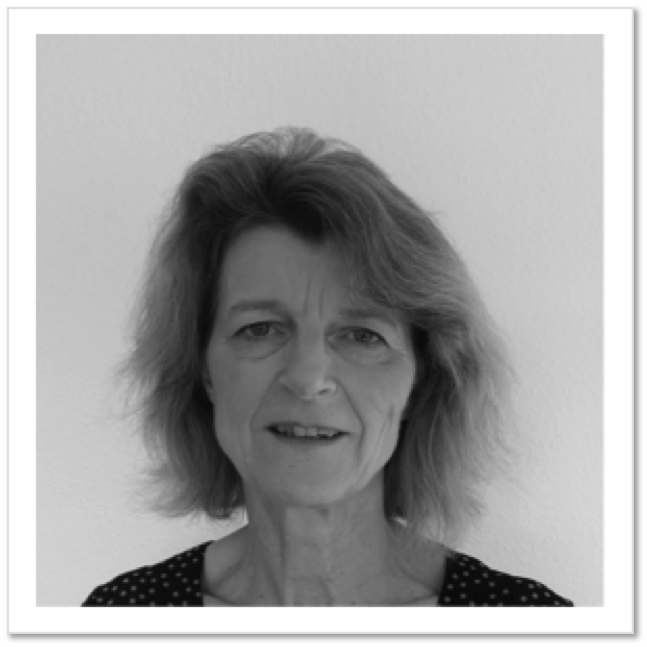 A team with years of experience in leading international businesses. 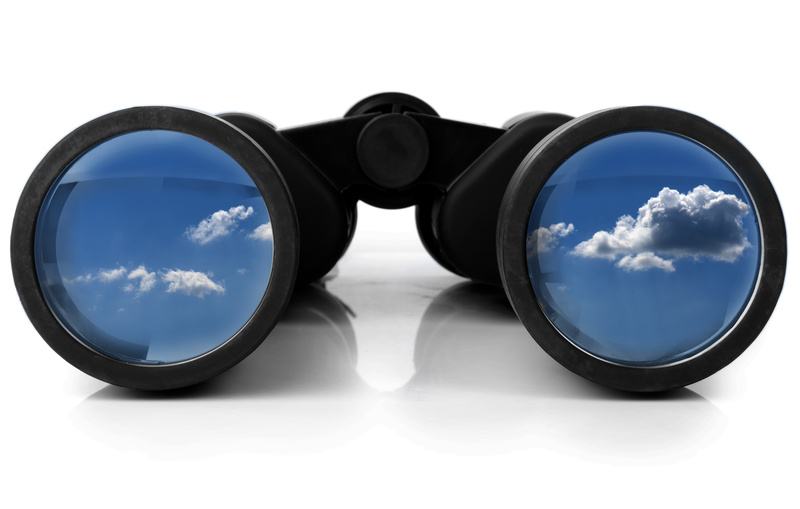 Contact us to discuss your most important issues in a confidential manner.